The cairn rocks formed in Shaping Clay, Shaping Life workshops were photographed on site before they were fired. Currently, these photographs of the unfired stoneware are the most complete record of the project. Several hundred of these images have been numbered and labeled with the name of the participant, the community group they are a part of, and the hosting location. In some cases, feedback forms offer more insight into the experience of the participant, and so these comments are included with the image when available. There are still hundreds of images to be processed, and they will be added to the site as they are completed. 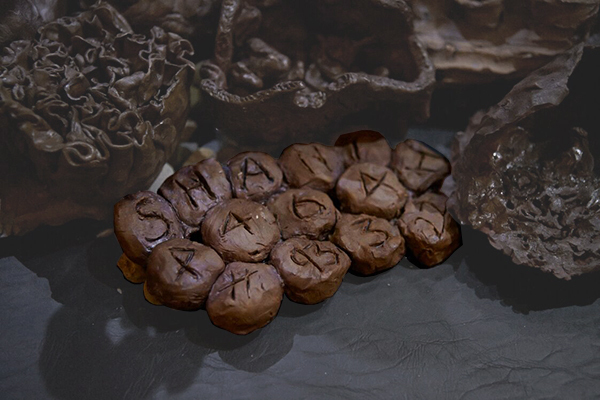 The tokens of light created at Shaping Clay, Shaping Life workshops were not assigned individual numbers like the cairn stones, but instead, come together as a collective celebration of hope. After the porcelain is fired, it is painted with gold lacquer to recall Japanese kintsukuroi pottery, relating the objects to the metaphor that that which has been broken is more beautiful. We invite anyone with interest in the project to respond to the tokens of light. You can click the contact link below to send a written reflection, audio recording, or video, or to find out more about how you can contribute your voice to the project. The slideshow above represents only a small selection of tokens. As the website expands and volunteers help to collect and process photographs, more images will be added. 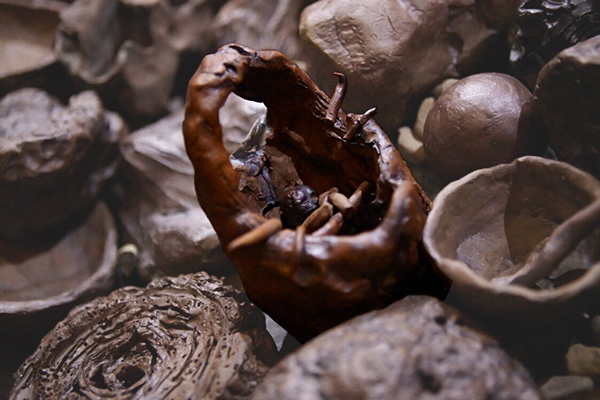 The stoneware rocks shaped by workshop participants embody their pain and loss. 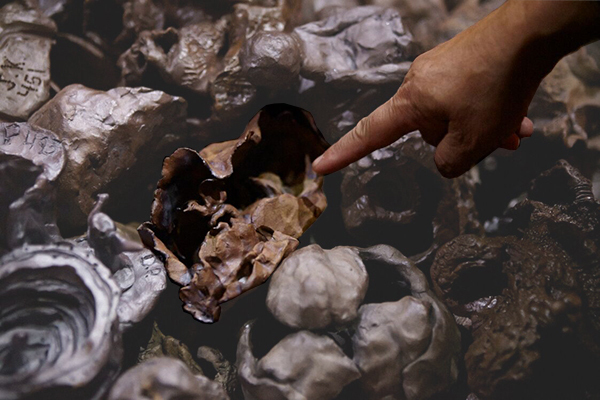 The molded clay communicates emotion through it's form, and once the clay is fired it becomes a solid, permanent, history of individual suffering and loss. We invite anyone with interest in the project to respond to the cairn stones. You can click the contact link below to send a written reflection, audio recording, or video, or to find out more about how you can contribute your voice to the project. The slideshow above represents only a small selection of rocks. As the website expands and volunteers help to collect and process photographs, more images will be added. Shaping Clay, Shaping Life workshops provide an opportunity for introspection. Below are a few of the growing number of interviews with participants who have generously shared their reflections about healing and loss, and on their experience with the Cairn Project. Please note that these recordings were gathered in public spaces and the audio clarity may vary based on the environment.